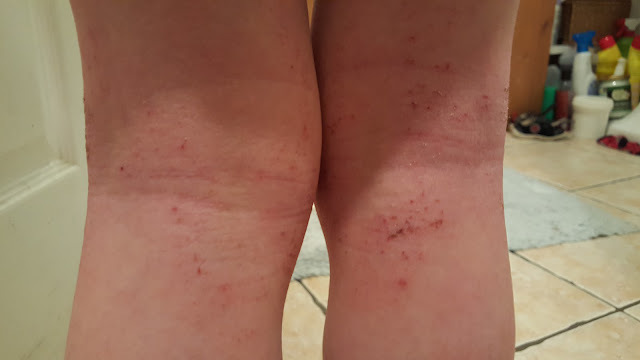 It's been quite a while since I posted anything about Eczema. 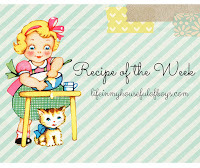 That wasn't intentional and it certainly wasn't because things have improved with nothing to report any more - if only! 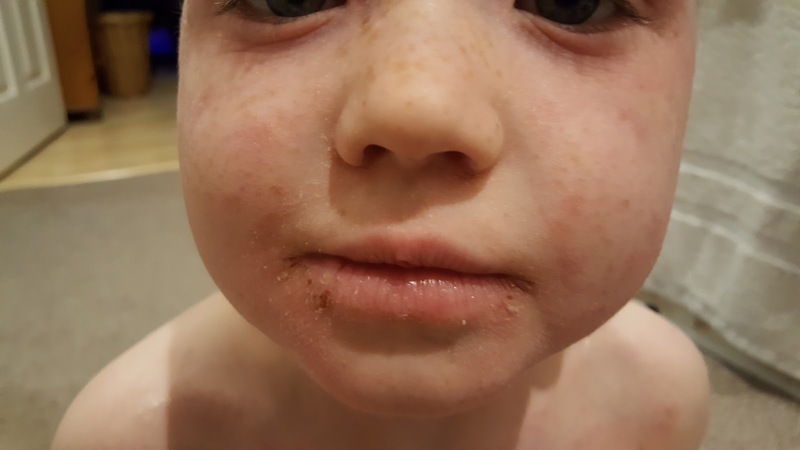 The four eczema boys continue to be bothered in various ways with their eczema, and Ally (6) still remains the worst affected. He is still covered with eczema head to toe. His skin is always extremely dry and can never seem to get enough moisturising, and he almost always has broken patches of skin in various places where the itch has become unbearable. 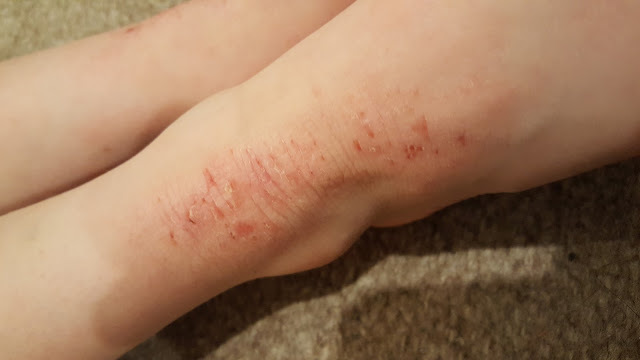 And he nearly always has broken skin in the typical places where eczema is most common - wrists, elbows, ankles, behind the knees - as well as around his waist, top of his legs, his shoulders and the back of his armpits. I did say he had it everywhere! One of the biggest ways to manage eczema, other than constant moisturising, is to minimise the damage done by scratching the itch. During the day we try our hardest to distract him (and 2 year old Fraser) when the itch gets bad. If you have a child with eczema you will know all about the daze that they go into when they start scratching. It feels so good to be relieving the itch that they keep on going, oblivious to the damage they are doing to their skin. You will have seen your child use anything to help relieve the itch - like a toy, or the carpet, or a part of your of their clothing. The best way we can distract Fraser when his hands get unbearably itchy is by letting him play with cold water. 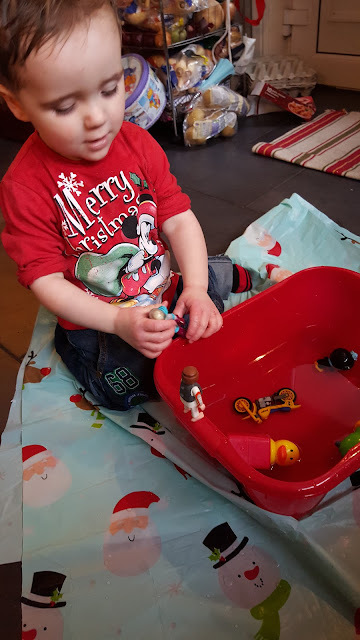 Just a little basin of cold water with a couple of toys in it. 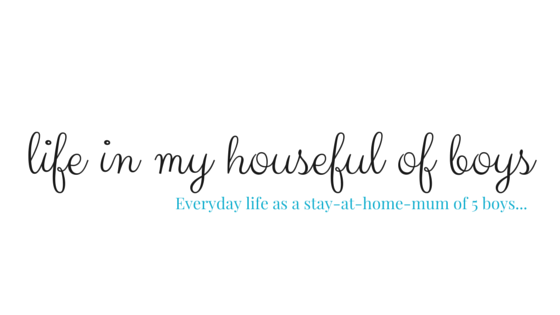 It can be hard enough to distract them during the day, but at night it is even harder. Ally still wakes up though the night with his itching, and by the time you get through to help settle him a lot of damage will have been done. 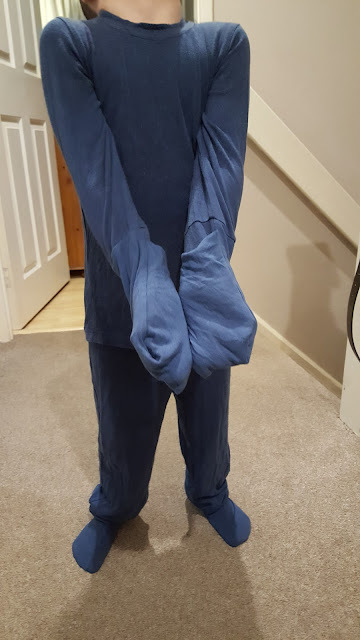 There are many different sleep garments on the market for children with eczema, and we have tried quite a lot of them out over the 16 years that we have been living with it! Some of the ones we have tried are just too warm. That's another trigger for the itch - overheating. Some of them just aren't soft enough, or go too bobbly too quickly, which means that rather than protect the skin they just mean that they can be used to rub the skin so much that it is still damaged. 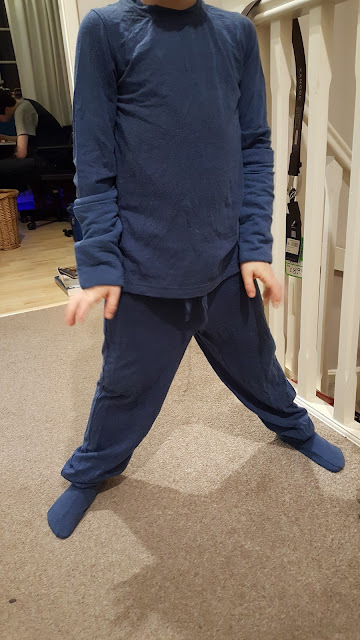 A while ago we were sent these bamboo pyjamas by Everything for Eczema, and all these months later I still absolutely love them. At first Ally wasn't too sure about them, as he was never a fan of any of the other types we have tried, but once they were on he too loved them. 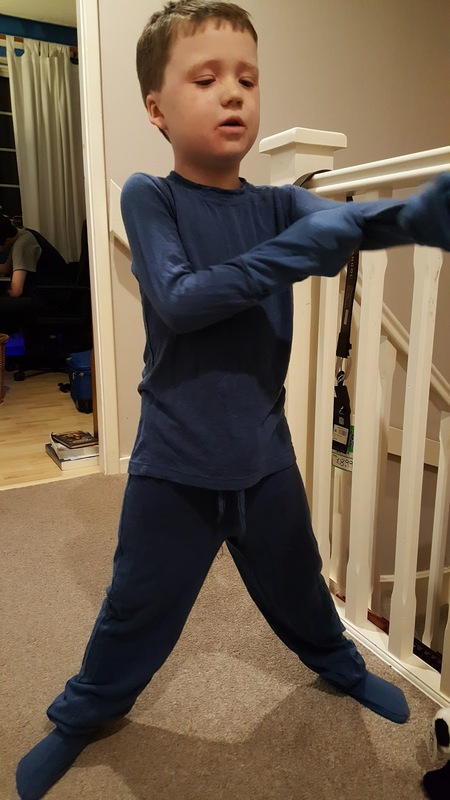 His favourite thing about them is that he thinks they make him look like a blue ninja! That's a pretty cool thing for a six year old boy. The first thing I noticed about them is how gloriously soft they are. They are made from bamboo, which is not only soft but also naturally breathable and helps keep your little one from overheating. Bamboo also contains a natural anti-bacterial agent, which is no bad thing either. We have had these pjs for quite a few months now and even after repeated washing they are still soft and haven't gone bobbly at all. The top has some large fold-over mitts, so that hands can still be free to play and read until bed-time. The mitts have quite a large fold over part, so that fingers can't wiggle out easily in the middle of the night - a problem we have found with other garments in the past. The bottoms have been designed with the feet part being more fitted, like a pair of socks attached. I really liked this, and it was this part that really made Ally feel like a ninja! It wasn't the ninja qualities that I liked though, but just the fact that they fit so well and comfortably. Other garments we have tried have had quite floppy feet and not been as comfortable to wear. 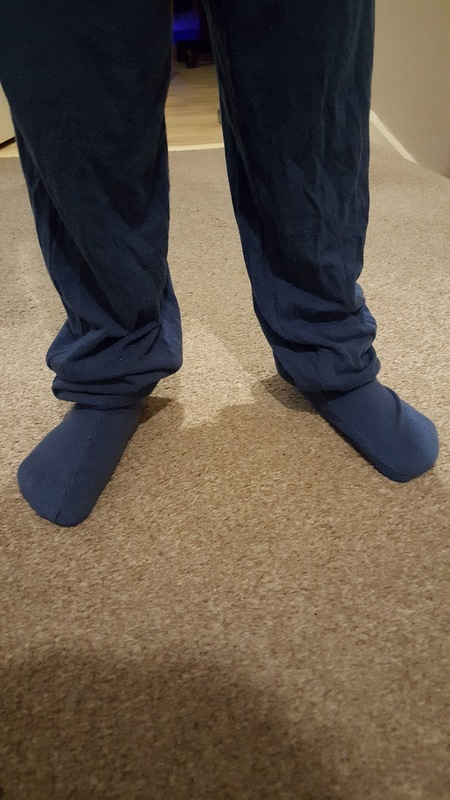 The fact that the bottoms are loose at the rest of the leg, and not tight all the way up like the Tubifast garments we get from the doctor, is also great as Ally doesn't like anything touching the back of his knees as it irritates them more. One final thing about these well designed jammies is that they are available to buy as two separates or together. This is so that if your little one has perhaps got short little legs then you could buy a smaller size of bottoms than the top and still get the perfect fit. They also come in adult sizes, and my husband tried out one of these when his skin had a particularly bad flare up a few months ago. He too thought they were wonderfully soft, and saved his skin from damage. He has lived with eczema since he was a small boy and says that in some ways the scratching done by someone with eczema is a sort of self-harm, with many sufferers only finding relief when they draw blood. Living with moderate to severe eczema is not easy, whether you are the sufferer or your child(ren), but even a little thing can be a big help. I certainly recommend these bamboo pyjamas - and the whole site Everything for Eczema - as one of those little things to help, and so does Ally the ninja.